First things first: I am so sorry for the lack of posts these past 2 weeks. I wish I could say that I’ve been saving puppies or at least doing something productive like, oh, I don’t know, homework. But the truth is, I’ve been spending my weekends doing a whole lot of lazing around and snacking on cake, and a minimal amount of homework and blog post writing. And to tell the truth, it’s been kind of wonderful. Maybe it just wasn’t my fate to write a blog post this past weekend, considering the one time I sat down to write I realized that all of my photos were on my computer at home. 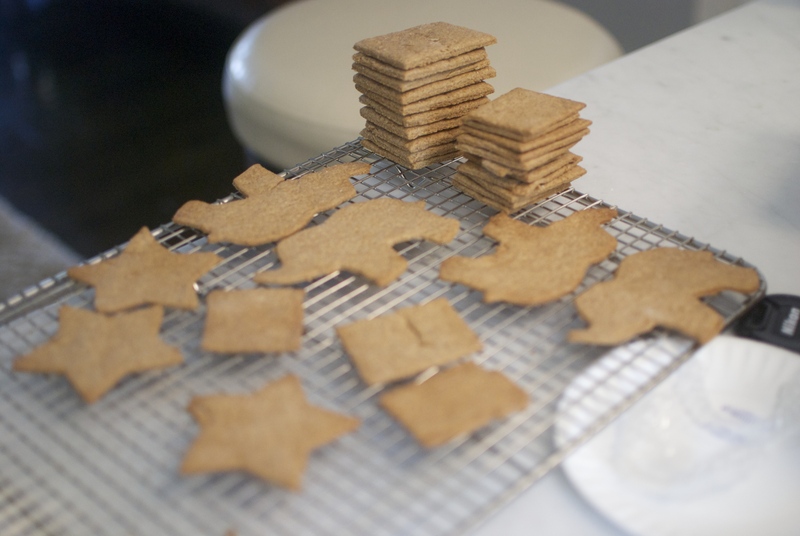 But now I’m back and ready to share this recipe for graham crackers (adapted from allrecipes.com) that will take your s’mores to the next level. 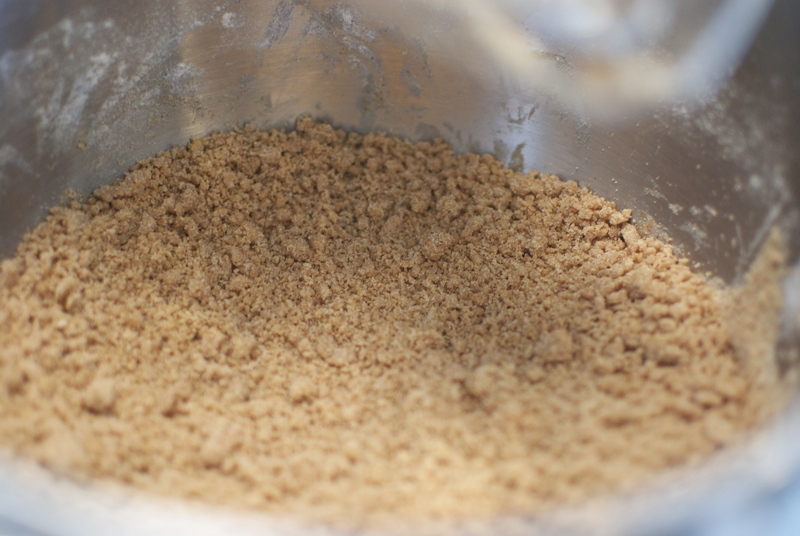 Add in some brown sugar and cream the mixture. Next up, splash in the vanilla. Did I ever mention that vanilla is my favorite scent in the world? Now back to the creamed mixture! 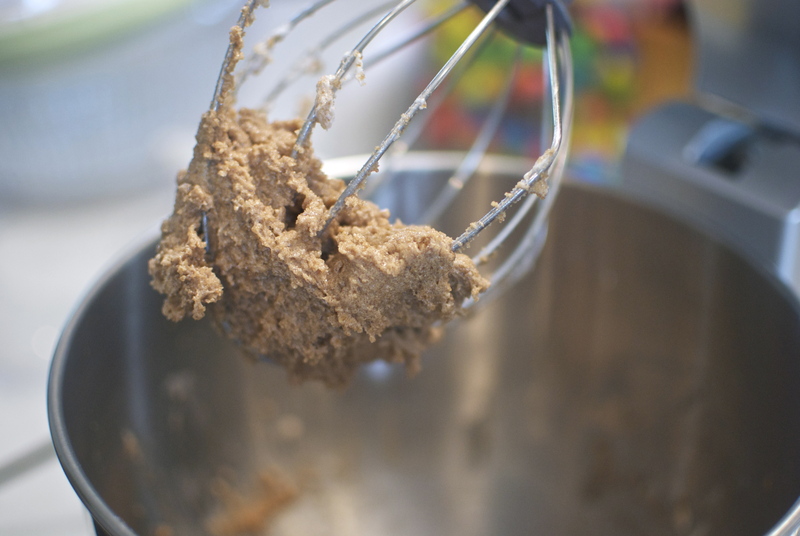 Stir the flour mixture and some milk in, alternating. 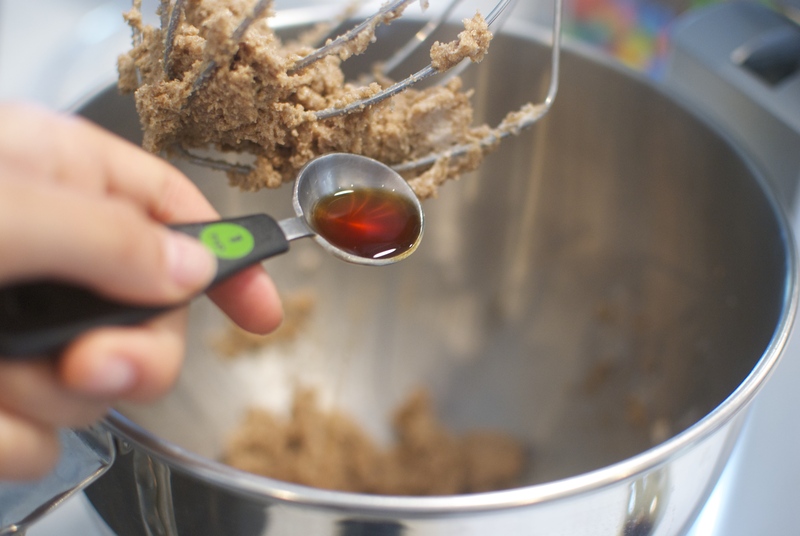 You’ll wind up with a super dry, crumbly dough. Or at least I did. Do your best to pat it down, then cover and chill it just until it’s firm. 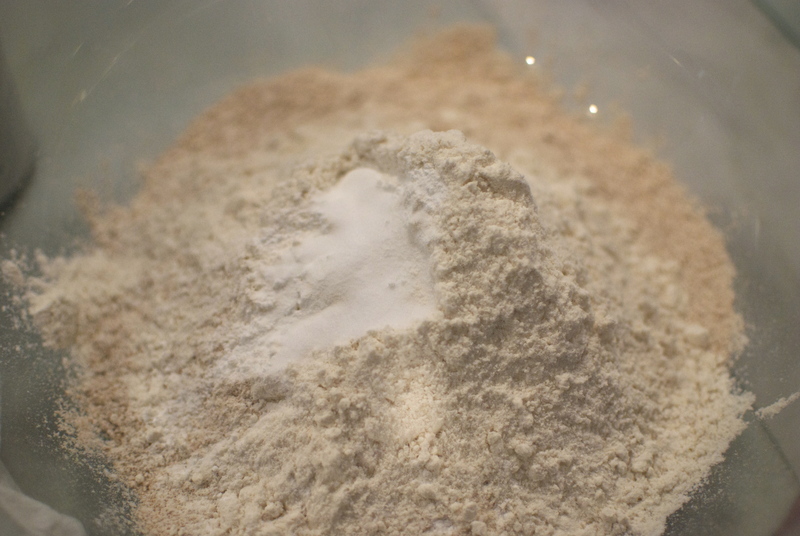 When the dough is ready, preheat the oven to 350 F and plop the dough onto a slightly floured counter or surface. Now, this part is key. 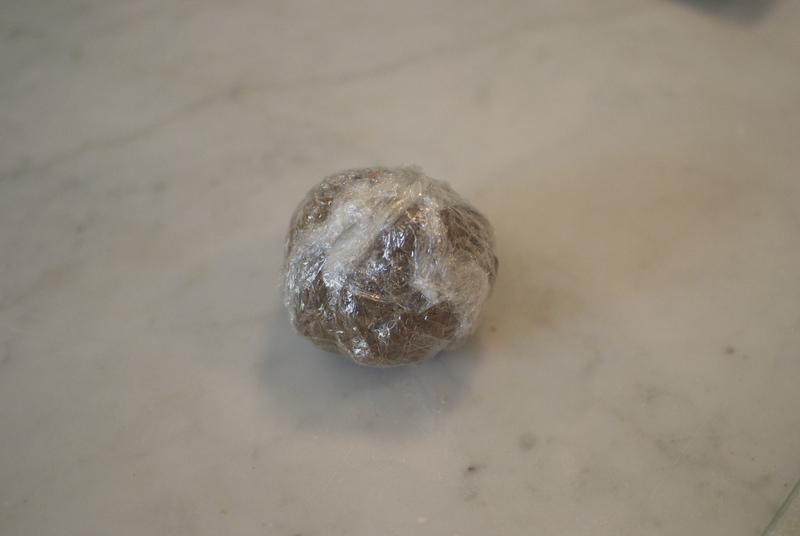 You want to get the dough as thin as you can in the rolling stage. 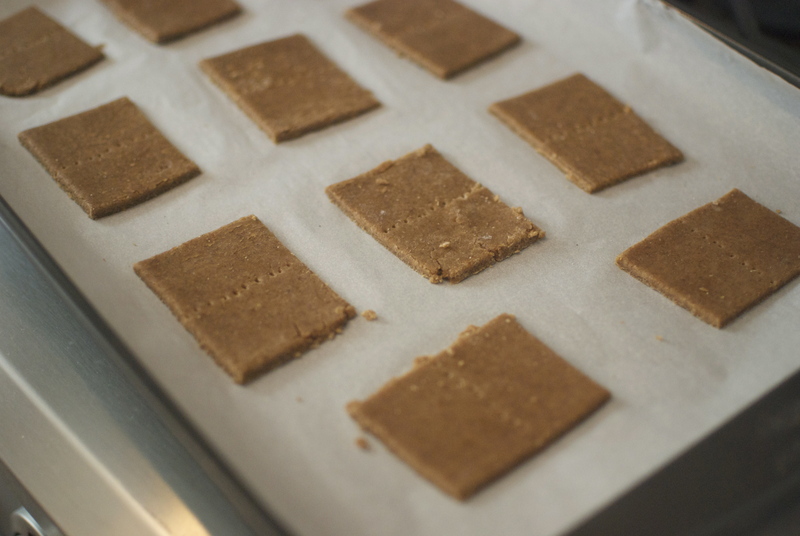 I found that my first batch of grahams, which were on the thinker side, were not so great. It is a graham cracker, after all. So try to stick with 1/8 of an inch. 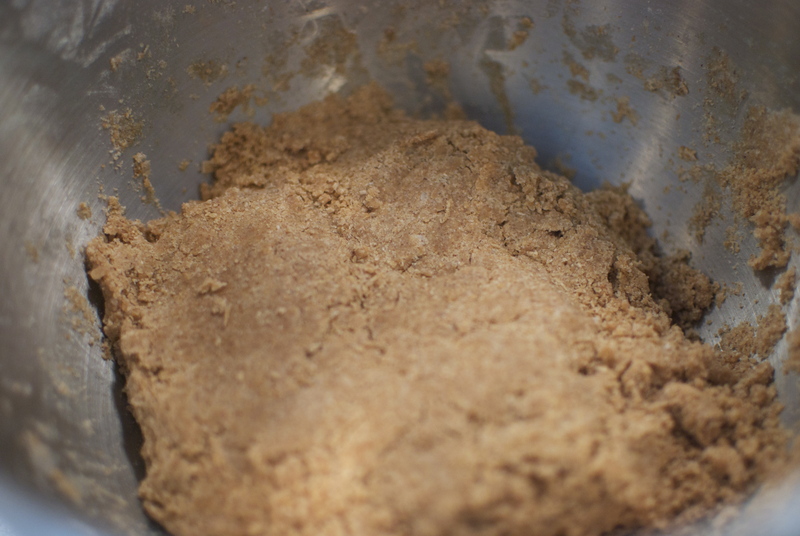 And be patient with the dough; it might crumble a bit. But once you’ve got it all rolled out, cut whatever shapes you want! I did mostly rectangles (using a pizza cutter), but also tried out some animal cookie cutters. 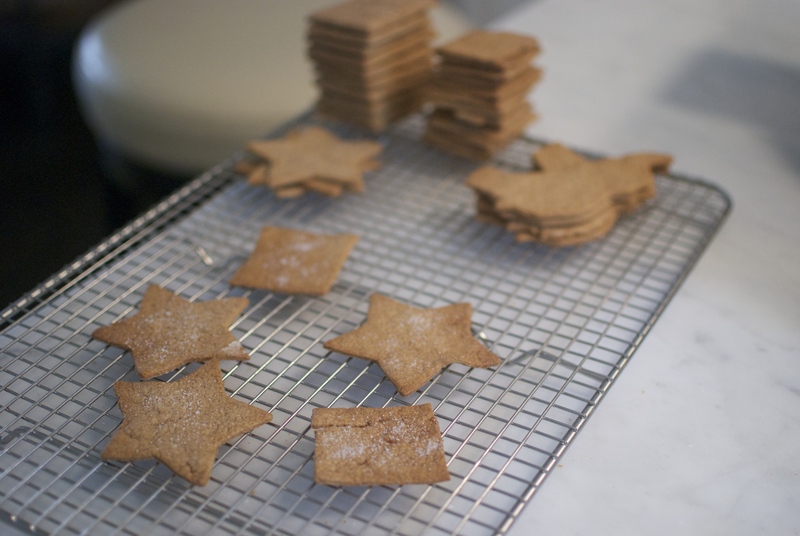 Load the cookies onto a parchment lined baking sheet and stick ’em in the oven. These were the thicker crackers, by the way. Bake for 10-12 minutes, until golden and crisp. These were the thinner crackers. I found that they delivered a more satisfying crunch than the first batch. Cool the grahams on a wire rack. Look how cute the elephants are! You can also clearly see the difference between the first and second batches which are stacked in the back. I sprinkled sugar on some of them just before baking. Divine! 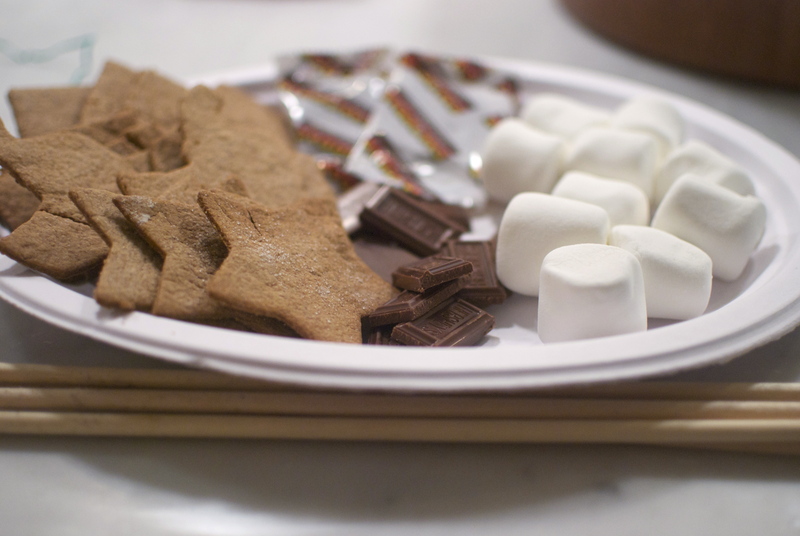 These are so much fun for s’mores. You could even package them up with some chocolate and marshmallows as a gift. Any leftover dough freezes beautifully. Just take it out until rollable and bake as usual! 1. 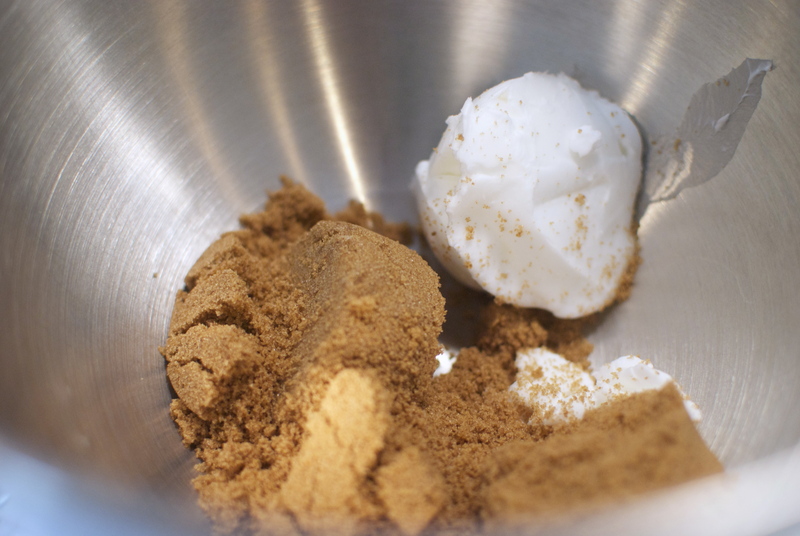 Cream shortening and sugar in a large bowl (or the bowl of a stand mixer). Stir in vanilla. 2. 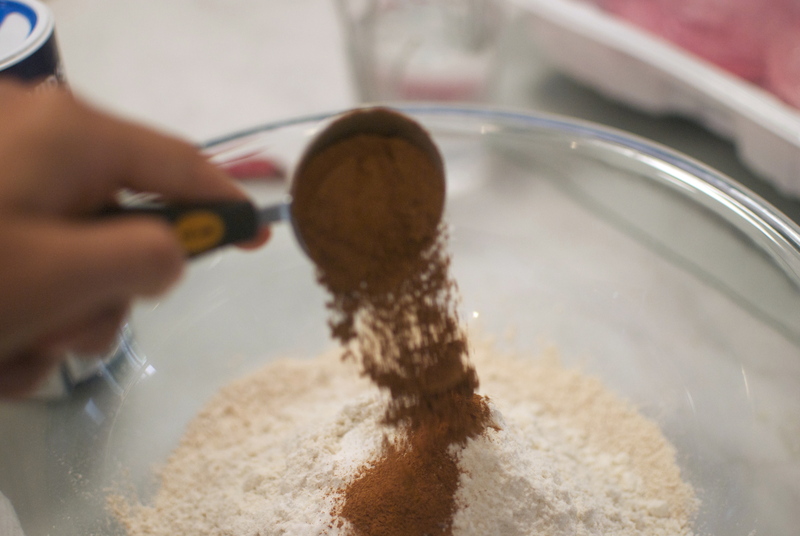 In a separate large bowl, combine both flours, baking powder, baking soda, salt, and cinnamon. 3. Alternate adding flour mixture and milk to the creamed mixture. 4. Pat down the dough, cover, and chill until firm. 6. 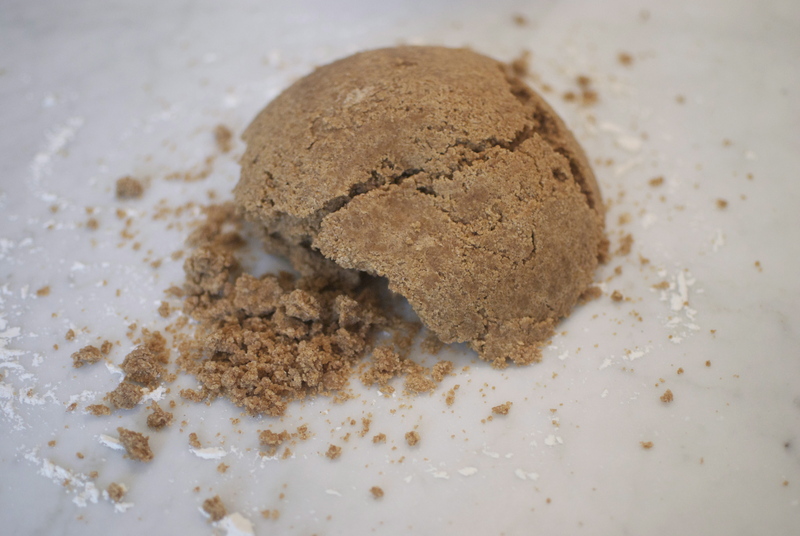 Roll out dough on a lightly floured surface to 1/8 inch thickness. 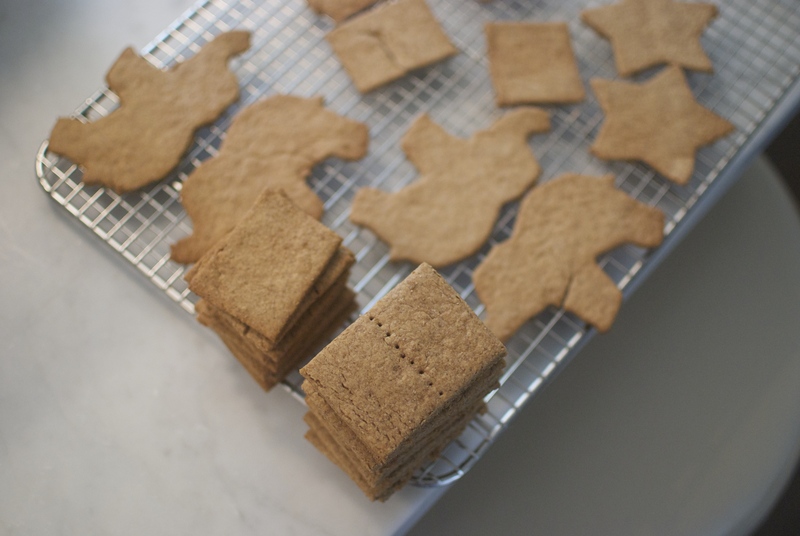 Cut into desired shape and transfer to a parchment-lined baking sheet. Bake until crisp and golden, 10-12 minutes. 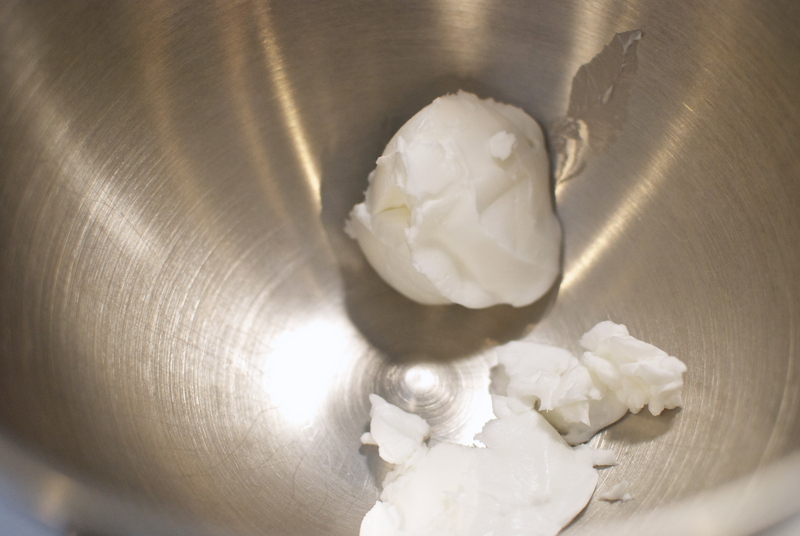 Any leftover dough can be frozen if you don’t want to bake it all at once. Thanks for sharing this recipe. 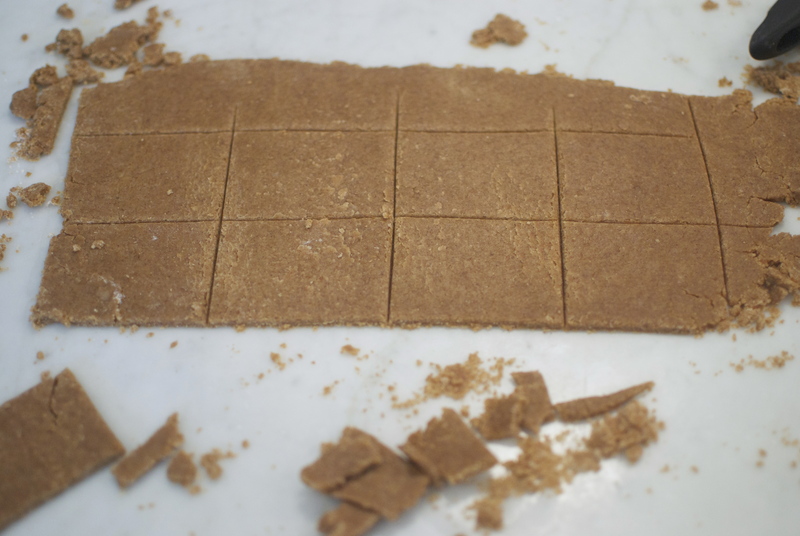 I’ve been searching for a graham cracker recipe for some time but they always seem to come out like cardboard. Can’t wait to try this one. Thanks so much for your comment! Rolling the dough out really thin should help with the cardboard factor. I hope you enjoy! 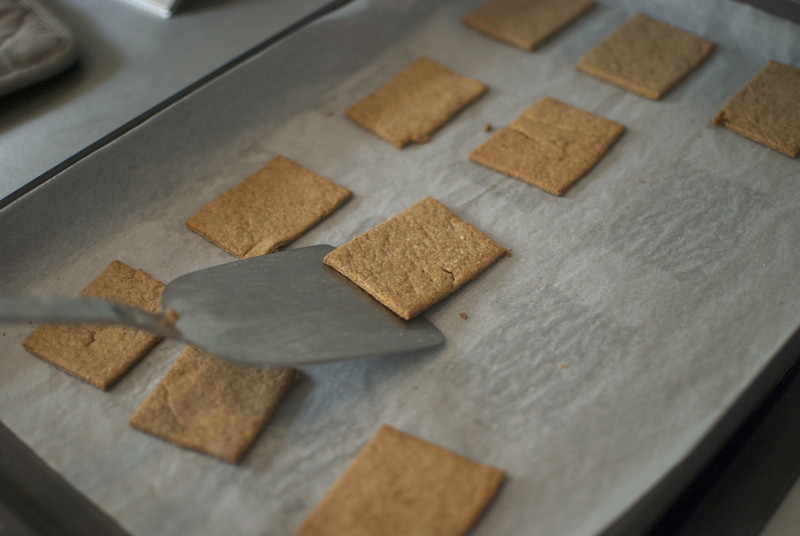 I love the idea of homemade graham crackers for our s’more outings in the summer. Recipe is right in that the thinner ones are better!